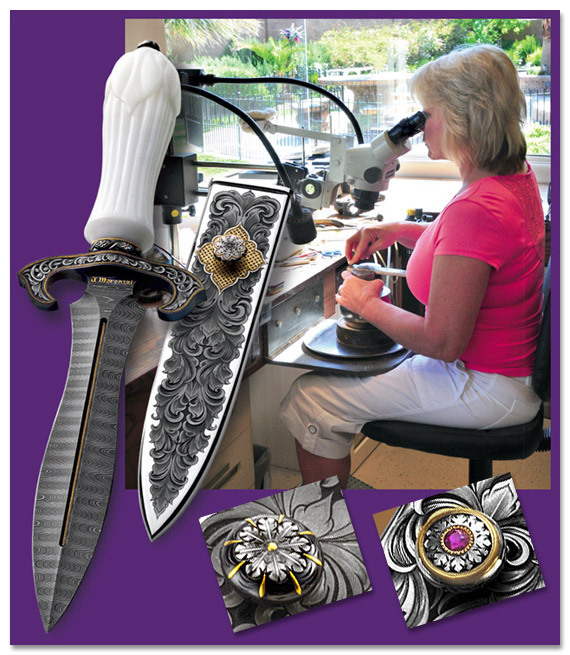 My wife, Julie Warenski-Erickson is a world-class engraver and is featured on many of my knives. We collaborate on most of my projects, striving to make each one a very special piece of art. With her 30 years of experience, she has mastered many of the techniques that are used in our work today. She is also a highly requested engraving artist that is commissioned and featured on works by many other top quality custom knife makers and artisans. To view more of Julie's work, or to contact her directly, please click the following link to visit her web site.